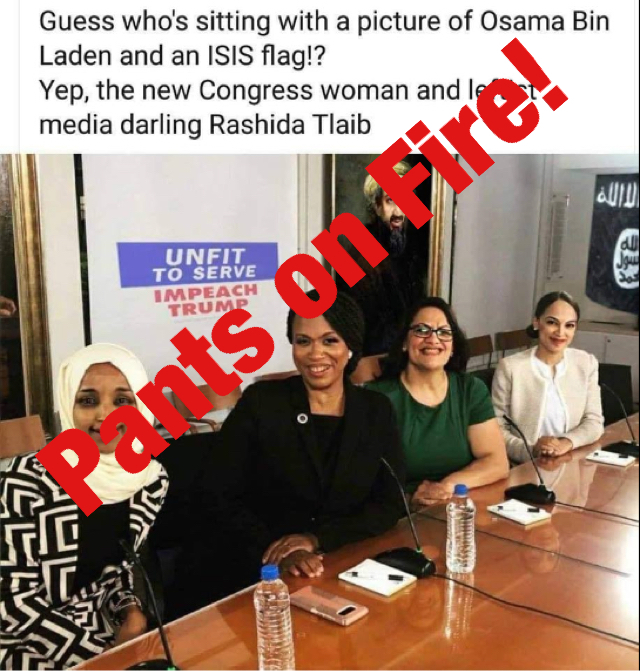 Says U.S. Rep. Rashida Tlaib was photographed in front of a picture of Osama bin Laden and an ISIS flag. By Ciara O'Rourke on Tuesday, January 29th, 2019 at 1:26 p.m.
A doctored photo that U.S. Rep. Alexandria Ocasio-Cortez posted to Instagram makes it look like she and three other freshmen lawmakers are posing for a picture in front of a portrait of Osama bin Laden. Rashida Tlaib became one of the first two Muslim women to serve in the U.S. House of Representatives when she was sworn in this month, and detractors are trying to tie her faith to terrorism. 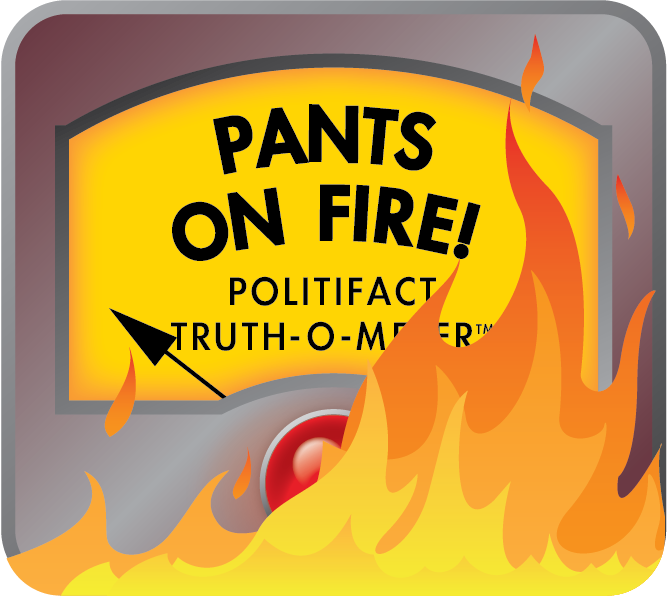 This post was flagged as part of Facebook’s efforts to combat false news and misinformation on its News Feed. (Read more about our partnership with Facebook.) And the photo is a fake. The original image was posted by Ocasio-Cortez on Instagram in November with the caption "Squad." There is a portrait hanging behind the women, but it’s not the former leader of al Qaeda. U.S. Rep. Rashida Tlaib was photographed in front of a picture of Osama bin Laden and an ISIS flag. Published: Tuesday, January 29th, 2019 at 1:26 p.m.